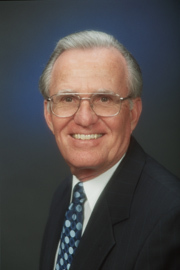 Douglas J. Reinhart was appointed to the Irvine Ranch Water District Board of Directors in 2004 to fill a vacancy and was subsequently elected to four-year terms in 2006, 2010, 2014 and 2018. Reinhart served as president in 2007, 2009, 2010, 2013, 2017 and 2018, and as vice president in 2006 and 2016. He serves on the Supply Reliability Program Committee and several other ad hoc committees. Reinhart is a licensed civil engineer with more than 30 years of experience in the private sector, directing projects in water, wastewater and other infrastructure. Reinhart was president and part-owner of ASL Consulting Engineers before its acquisition by Tetra Tech in 1999. He served as the divisional executive vice president for Tetra Tech for the Western United States before starting an independent consulting business in 2004. Reinhart is familiar with special district functions, having served as a director on the board of El Toro Water District from 1998 to 2000. During that time, he served as vice president of the board and was the special district representative to the Local Agency Formation Commission of Orange County. He holds a bachelor’s degree in civil engineering from the Missouri School of Mines and Metallurgy (now Missouri University of Science and Technology), and he is a licensed civil engineer in both California and Arizona. Reinhart has broad water industry service. He has served on the board of trustees of the Southern California Water Committee, the American Water Works Association Desalination Committee and the Association of California Water Agencies Groundwater Committee. He is a past member of the board of directors for the national WasteReuse Association. He is also a member of the American Society of Civil Engineers and the American Public Works Association.